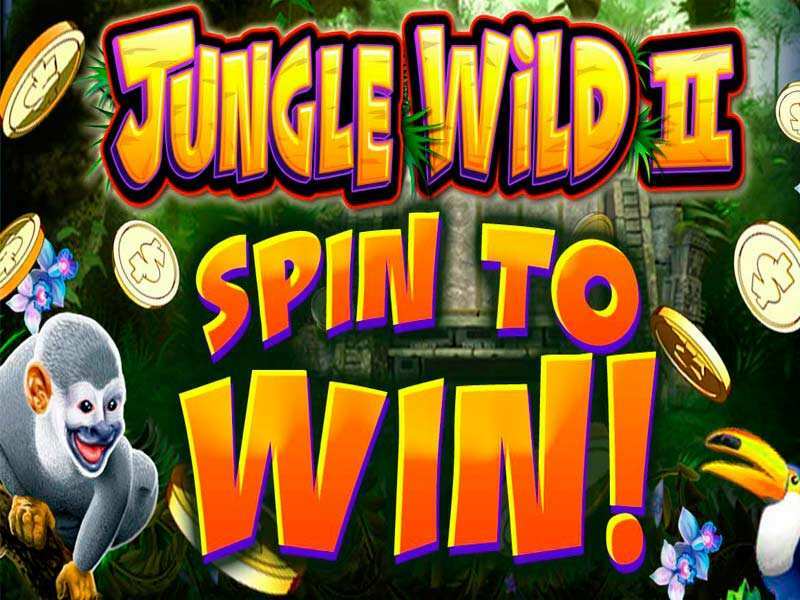 The Jungle Wild 2 is an online pokie produced by the famous WMS vendor. This is the second improved version of the Jungle Wild casino machine. Both games are set in the wild, and they can be played for free or for the real money. The second part of the jungle saga is a little bit different from its predecessor. It possesses 5 reels, but the first and the second reels are 2 symbols tall, which can dramatically change the game outcome. Third, fourth and fifth reels are classic ones, 4 symbols tall. A gamer should first set the playing settings before hitting the “Spin” button. Bets can be changed by the player’s desire in the bottom main bar. For all information, a bettor can check the info window where all symbols and rules are shown. The total credit balance is displayed all the time on the screen so that a gambler can track the game progress. In the Jungle Wild 2 slots, a gamer can find many different symbols like flowers, birds, pyramids, monkeys, plants and many other along with a special wild and scatter icons. The wild bonus card substitutes all symbols except for the scatter icon. It can be found anywhere on the playing table. The Jungle Wild 2 online offers a special bonus feature where a player can trigger 20 free rounds. This can be done by collecting 3 or more scatter symbols. While these extra rounds are active, sticky wilds can show up for even more winning combinations. During this bonus feature, wilds will remain in their position until a bettor is out of free spins. Wins are paid looking from the left to the right side. Always try to play more rounds. This way a player can increase the number of possible winning combinations. Collect 3 or more scatter signs. This way a player can gain more rounds for free, which will increase the odds even more. Play with the maximum bets. When a gamer is playing with the highest stakes, he/she can obtain the biggest possible rewards in this pokie. Use the sticky wilds to make even more scoring combos. This pokie can be played online, with no download required. A gambler can also download it on the PC device and enjoy in this jungle adventure. All players 18+ are allowed to play this slot game from the UK and many other countries where the gambling is legal. This is a low to medium volatility machine, which means that it is suitable for all gamblers with a modest playing budget, and the ones who like to play with high stakes. If a previous version was good, this one will keep you entertained even more. All gamers will have the same odds for scoring some big money in this online slot. 0 responses to "Jungle Wild 2 Slot"